In the collection we can point out the set of cooking utensils from the sunk merchant ship from the 1st century B.C., which was found in the Vlaška mala bay. 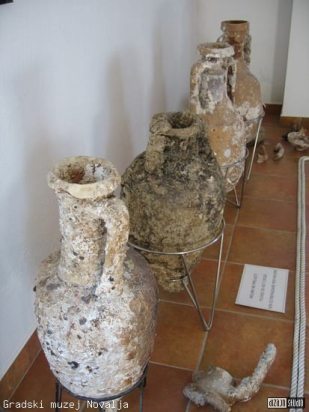 Ceramic pot for cooking, plate for baking bread, wine jug and water jug from the ship were exhibited in Barcelona on the exhibition called Seamanship on Croatian Adriatic and on the Expo 08. exhibition in Zaragosa. The collection is set up in the Museum basement.